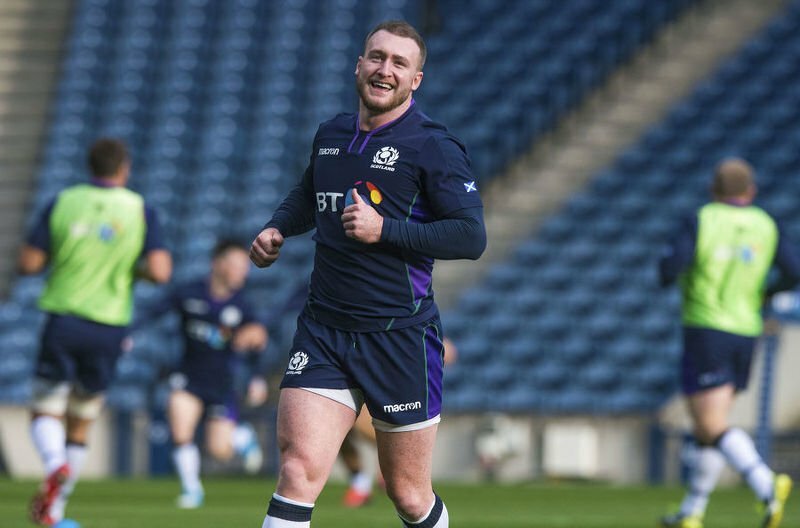 No sooner had Scotland run in eight tries to demolish Fiji than head coach Gregor Townsend was turning his attention to the clash with South Africa. Next Saturday’s visit of the Springboks promises to be a tougher test than the one posed by the Pacific Islanders but Townsend is confident his team can tackle the challenge successfully. “This squad has shown that when the challenge gets bigger, we get better,” he said. “We have to rise to that challenge of playing one of the best teams in the world but I believe this squad can do that. 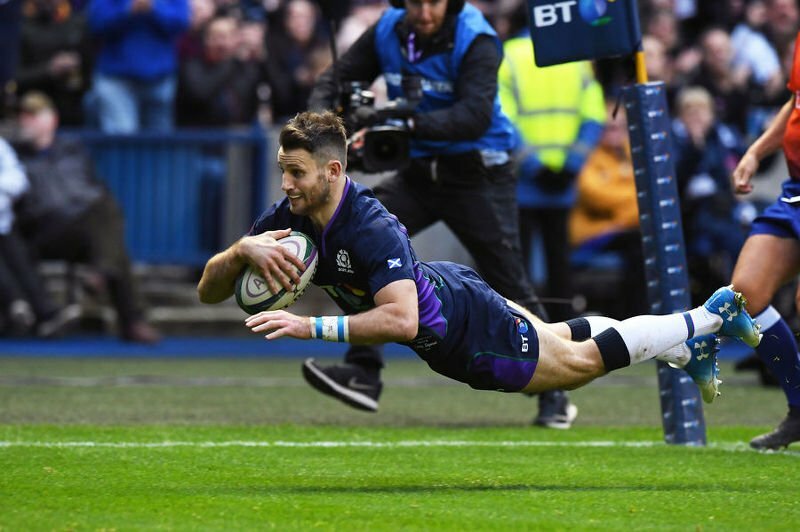 Tommy Seymour went over for a hat-trick as the Scots ran riot in the second half at BT Murrayfield. The visitors had gone ahead thanks to tries from Viliame Mata and Semi Radradra but the Scots went in at half-time with their tails up after Allan Dell, Fraser Brown and Seymour all touched down before the break to give the home side the upper hand. The hosts’ superior fitness told in the second period as Seymour scored twice more with Sean Maitland, Jamie Ritchie and Adam Hastings all going over to complete a comprehensive victory. “A lot of work went into that performance – a lot of big tackles put in on very big men, we did manage to get a few of their off-loads back on our side,” added Townsend. “Fiji did get two tries and were leading. Sometimes, the players will question that – what are we doing, is it working, because were not winning? But the pressure ended up telling. Scotland: 15-Hogg, 14-Seymour, 13-Dunbar, 12-P Horne, 11-Maitland, 10-Russell, 9-Laidlaw; 1-Dell, 2-Brown, 3-Nel, 4-Skinner, 5-Gilchrist, 6-Wilson, 7-Ritchie, 8-Fagerson. Replacements: 16-McInally (for Brown, 52 mins), 17-Allan (for Dell, 55 mins), 18-Berghan (for Nel, 55 mins), 19-J Gray (for Wilson, 61 mins), 20-Strauss (for Fagerson, 30 mins), 21-G Horne (for Laidlaw, 61 mins), 22-Hastings (for P Horne, 71 mins), 23-Harris (for Dunbar, 49 mins). Tries: Dell, Brown, Seymour (3), Maitland, Ritchie, Hastings Conversions: Laidlaw 5, Russell 2. Scotland full-back Stuart Hogg is poised to leave Glasgow Warriors for English Premiership side Exeter Chiefs. The 26-year-old is one of a number of Glasgow players, along with coach Dave Rennie, out of contract in May. He is the latest big name player to leave Scottish clubs. Former clubmate Finn Russell moved to French giants Racing 92. He has been on two Lions tours and was named Six Nations player of the tournament twice in succession. A move to Exeter would see him team up with new Scotland team-mate Sam Skinner.